Theresa May has promised MPs a final, decisive vote on her Brexit deal - but not until she has secured changes to the Irish backstop clause. 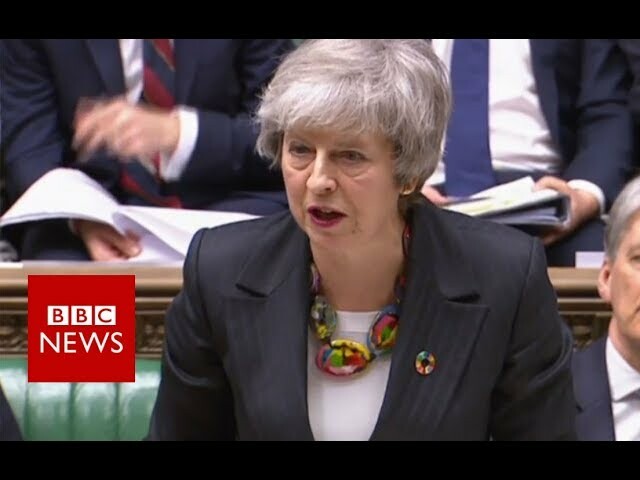 Speaking in the Commons, the PM said she had a "mandate" to seek changes to the backstop as MPs had voted for it. "We now need some time to complete that process", she added. Labour leader Jeremy Corbyn accused her of "running down the clock" in an effort to "blackmail" MPs into backing her deal, and asked when MPs would get a final, "meaningful" vote on her deal.